Tackling window replacement is relatively less stressful than other home improvements. Yet, you must prepare for it to ensure everything goes as planned. One way to do that is by setting your expectations to ready yourself psychologically for any possible hassles that may arise. All window contractors, including Kroll Construction, would say that there’s no way to escape dust. Any kind of construction will generate mess to some extent. The only question is how well you control it. The answer is to hire experienced professionals who know what it takes to construction-proof the work area and have the necessary tools to erase every trace of dust before leaving. Kids may dislike home improvements because renovations affect daily routine, which, in turn, ruin the sense of normalcy they find comfort in. When they become stressed, you become stressed. This is why it’s wise to schedule the installation on days they will be out of the house. In our book, fall is one of the better times to get replacement windows installed because it signals the school season. It’s impossible to identify every single structural challenge until the crew begins removing the old units from the wall opening frame. Nevertheless, you should prepare for unpleasant surprises financially. Otherwise, they might stall the progress of the project due to lack of funds. Window replacement is an exterior home project. It can be hard to pull off a successful installation during inclement weather. Prudent window companies always check the weather forecast to determine the best date to carry out the project. 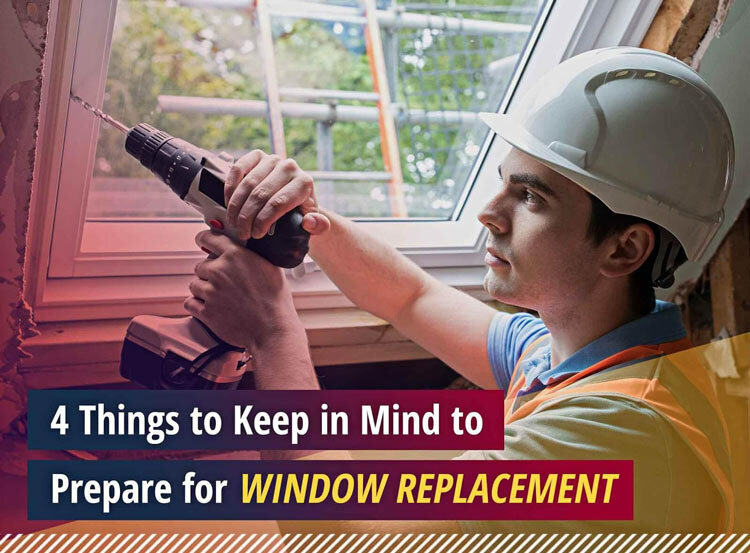 Let Kroll Construction help you prepare for your window replacement. Call us at (888) 338-6340 today to schedule your FREE, in-home consultation in Michigan at your convenience.